Did Your Los Angeles DUI Accident Give Someone Whiplash? Obviously, DUI injury cases are fraught because the stakes of any legal action – for both sides – are so high. If you’re a victim, you may face major medical bills that could add up to hundreds of thousands of dollars as well as lost work time, problems with your relationships, and so forth. As a defendant, you likewise face the unpleasant possibility of having to pay in perpetuity for the victim’s medical care and damages. The legal battle can draw in multiple stakeholders, including various insurance companies, and get complicated as well as emotional. Given the high stakes and potential drama, you might want to learn what injuries are truly compensable. One of the most interesting types of injuries is whiplash. It’s “interesting” because personal injury claims often sue (and win) for big judgments on whiplash claims. Whiplash is understood as a painful condition that can lead to lots of agony (not to mention therapeutic bills) and persist for years to decades. 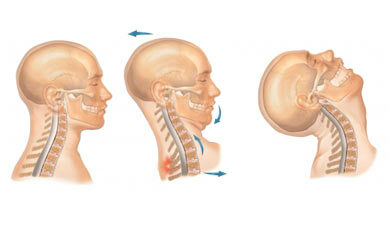 But there has always been some controversy over the diagnosis of whiplash. Some radical critics contend that whiplash is effectively a psychosomatic disorder – that’s a fancy way of saying “it’s all in your head.” Now, most whiplash sufferers will tell you that such pain is obviously not “in my head.” But this oversimplification of the critics’ position actually mischaracterizes what they’re saying. The whiplash “counter argument” boils down to this: the structural damage, if any, caused by so-called whiplash-inducing car accidents is minor, and it cannot account for the range or duration of symptoms that victims report. As evidence, critics will often point to a very curious (and controversial) series of studies, most famously a study out of Norway that analyzed the so-called Norwegian whiplash epidemic from a few decades ago. Researchers noticed an epidemic numbers of whiplash claims erupted shortly after insurance companies begin to accept whiplash claims. They wondered if the labeling of the diagnosis, itself, was fanning the epidemic somehow. To try to figure this out, they took a look at whiplash-inducing car accident cases in Lithuania… and found some pretty shocking results. In Lithuania at that time, no one had really heard of whiplash, so the diagnosis was unknown. Amazingly, researchers found that the Lithuanians who got hurt in car accidents did not report the whiplash symptoms – and this remained true even when the researchers adjusted for potential confounders. Without getting into the science, the Norway Lithuania study (along with many others) seems to at least suggest that some cases of whiplash may indeed be created and/or perpetuated by non-structural factors. So what does this mean for your Los Angeles DUI injury defense? But the situation illustrates how complex and eccentric DUI defenses can sometimes get. To that end, you want a Los Angeles DUI law firm that has a rich body of experience and excellent in-house resources to help you build a sound case. Look to attorney Michael Kraut and his team at the Kraut Law Group for help with your defense. As an ex-prosecutor and deputy district attorney, Mr. Kraut has the relationships, wherewithal, and experience to assist you. If police arrested you for Los Angeles DUI, you may feel scared and confused. Contact Harvard Law School educated, ex-prosecutor Michael Kraut for assistance at (323) 464-6453 or online. We’re located at 6255 Sunset Boulevard, Suite 1480, Los Angeles, California 90028.